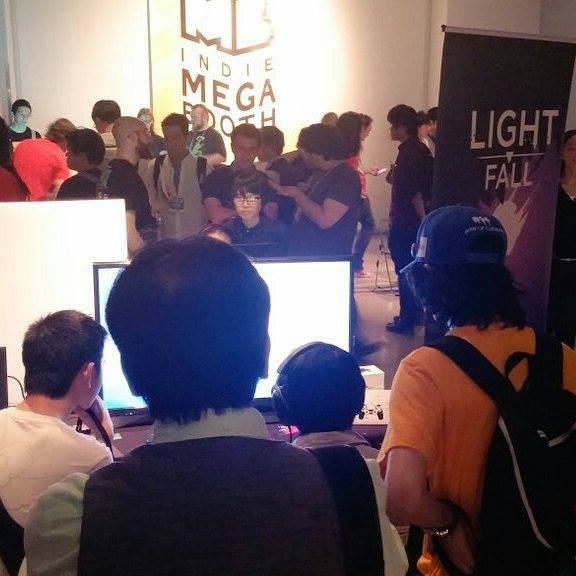 BitSummit: Light Fall in Japan! This past month has been quite something for Bishop Games! 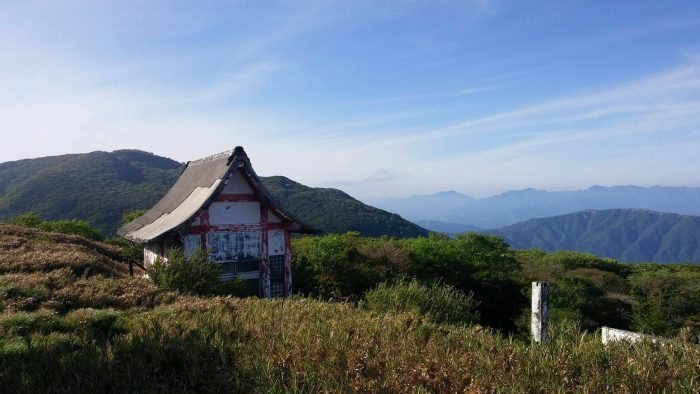 With the 5th edition of BitSummit, an indie festival based in Kyoto, the studio spent 12 days in beautiful Japan. It was honestly an incredible experience and we never thought we would visit Japan, especially not because of our game. Here’s a recap of our adventure in the Land of the Rising Sun. Even though we tried our best to prepare for something like this, visiting Japan was still a huge cultural shock. Beforehand, we did our best to learn key words such as ‘Thanks’, ‘Sorry’, ‘Hi’ and ‘I Don’t Understand’. 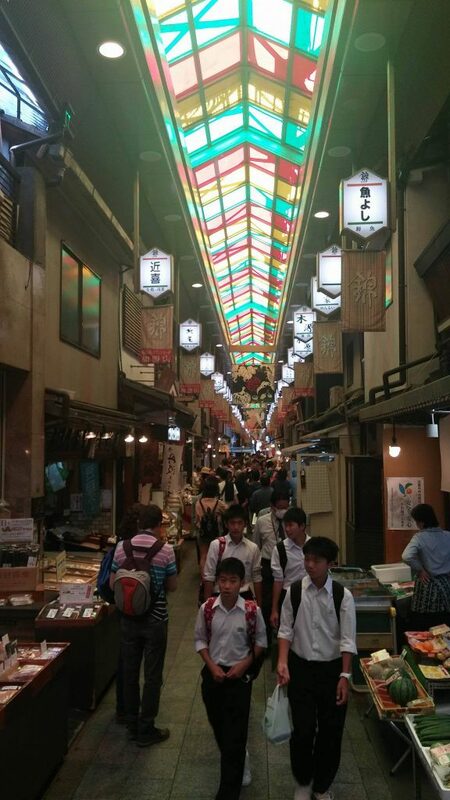 We also spoke to our partner for the Japanese market, who provided valuable information about the culture (the do’s and don’ts) and the cities we were visiting. 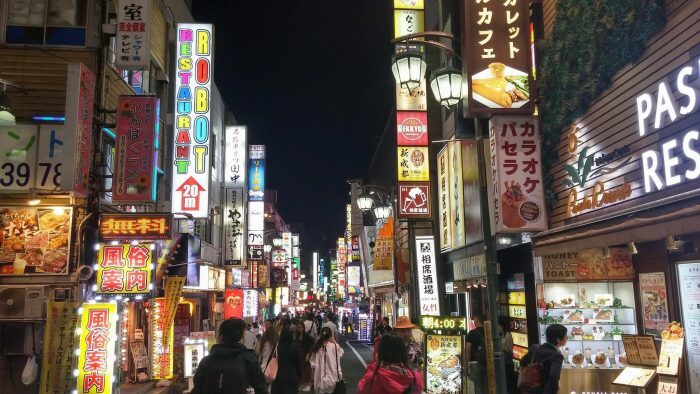 Despite our best efforts, we were still completely overwhelmed once we landed in Osaka, after spending close to 24 hours in planes and airports. The first thing that hit us was… the jet lag. There is a 13 hours difference between Eastern Canada and Japan. Still, we powered through, got out of the airport and on our way to our first Airbnb. After an awkward taxi ride where we couldn’t communicate with our driver at all, we managed to get there. We dropped our bags and decided to go eat at a local restaurant. And this brings me to my next point… the food. You see, I’m not what you would call a picky eater. Well I thought I wasn’t, before I visited Japan. It’s not that the food tastes bad or anything of the sort. In fact, a lot of the meals were quite enjoyable. But over there, most of the food is soft and cold as opposed to North America where we are used to hot and crunchy textures. Their food diet also mainly consists of fish, rice, raw egg and other seafood, which is not something we are used to. It definitely took us a few days to get used to that, but it wasn’t so bad in the end. 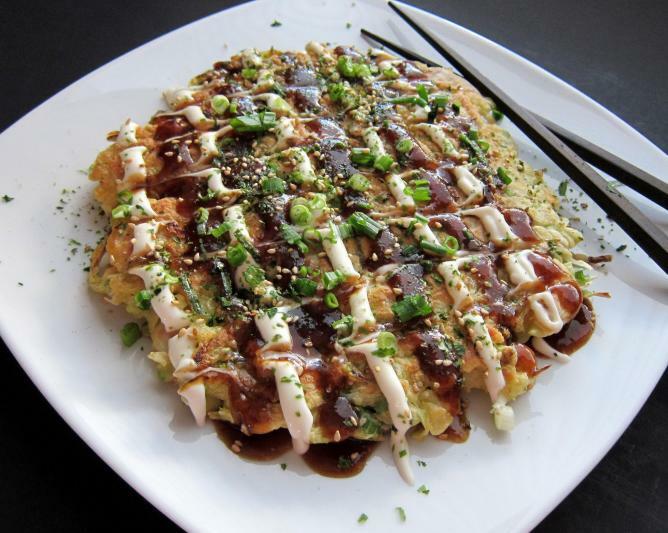 One particular meal that I enjoyed was a traditional Okonomiyaki; a Japanese savoury pancake containing a variety of ingredients such as flour, eggs, green onions, shrimp and other seafood. It was a unique and very tasty meal that we found in a small restaurant of Kyoto. As we grew accustomed to Kyoto, the jet lag and life in Japan, BitSummit was about to begin. It was an intriguing event for us and we truly had no expectations of what would happen. By now, we were used to the PAXs, but BitSummit was our first event in Asia. Would the cultural differences also be present in the gaming culture? Would the Japanese people react to Light Fall in a similar manner? So many questions raced in my head prior to the event! The first day of BitSummit was on Friday; it was set up day and press hours. We knew Famitsu, the biggest gaming press in Japan, would be there. We didn’t want to miss them… and luckily for us, they stopped at our booth and really enjoyed the game! They also wrote an article about the game, which is a good way to gain exposure with the Japanese public. It was a great way to start the weekend and the following days didn’t disappoint either! There was a steady flow of players at the booth and, from the little we could understand, most of them seemed to enjoy Light Fall! Thankfully, we had interpreters on the show floor to help us communicate. The Japanese public welcomed Light Fall with open arms. 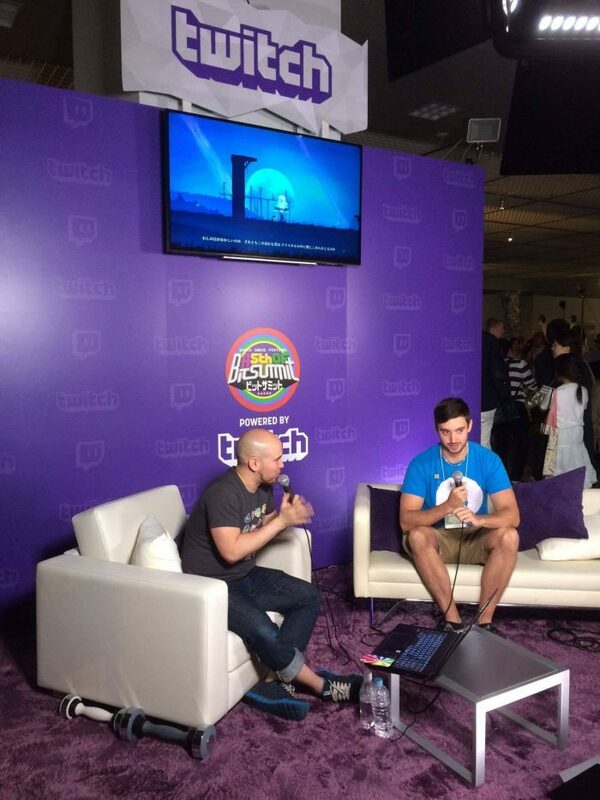 We were also invited on the Twitch Stage for a live-interview, similar to the one we did at PAX South 2016. Ben was on the Twitch Stage at BitSummit to talk about Light Fall. Finally, we were also approached by several potential business partners for the Asian markets. While nothing is official yet, these partnerships look promising in order to bring Light Fall everywhere in Asia. All in all, BitSummit was well worth the trip! Looking back, we had a wonderful trip in Japan. 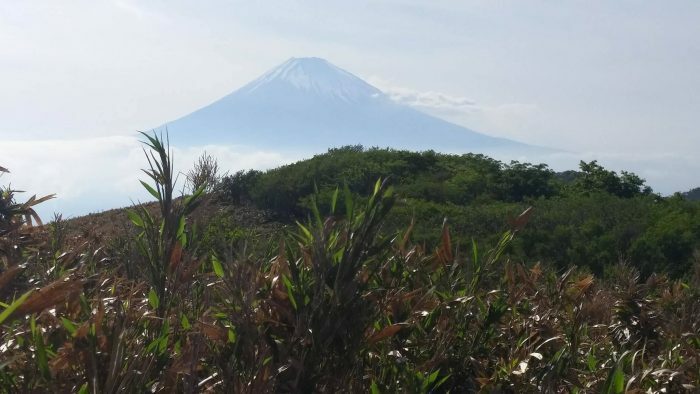 Not only was BitSummit a great success for the studio and the game, but on a personal level, we truly enjoyed visiting Japan and learning more about its culture, its people and its history. Here are some cool photos we took during our trip. For all you know, Japan might be on your future destinations’ list after that? The night life of Tokyo. Japan is home to many beautiful scenery like this one. Introducing Vanessa, the newest member of Bishop Games! Hey everyone! 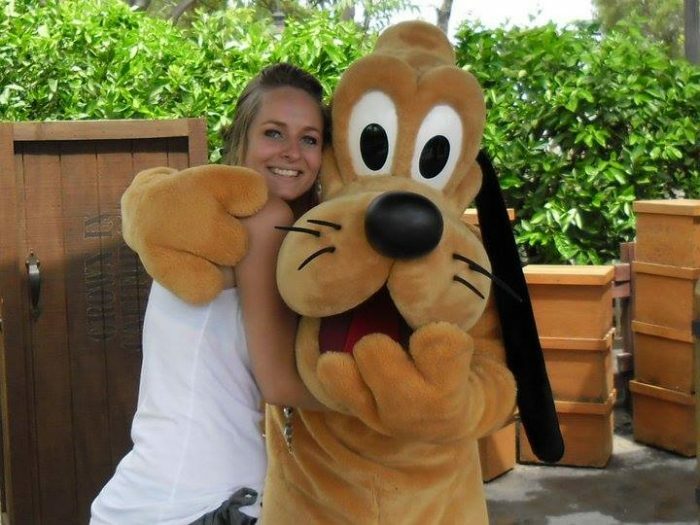 Today we’d like to introduce the newest member of Bishop Games: Vanessa Desbiens! Vanessa has been with us for almost a month already, and it’s time we formally introduce her to you all. She joins the studio as our second full-time artist and will work mostly on the Light Fall cutscenes and cinematics, as well as other concept arts and promotional images for the project. We are very excited to have her on board and her amazing work has already impressed us all. Check out below this short interview we did Vanessa to learn more about her! Vanessa joins the studio in order to bring the visual design of Light Fall one step further. What led you to work in the video game industry? I have always been in love with the beautiful visuals in video games. Even when I was too young to play, I would be stuck in place gazing at them! I also enjoy the narrative aspect and the stories present in most games, but the visual design is what connects with me the most. What were you up to prior to joining Bishop Games? I already knew Math (hi! ), one of the founders of the studio. I knew he was someone talented, kind and thorough. I told myself that his team would probably be like him, and so far, I was right! I wanted to join the team to bring the visual aspects of a game that were already incredible one step further. Vanessa’s work has already impressed us greatly. Here’s a scene she’s been working on recently. Is it your first time in an indie studio? Were you expecting this kind of environment? It is indeed my first time in an indie company. The work atmosphere is great, the boys are very nice and I already have my own workspace! It’s perfect. How does it feel to join a project like Light Fall? What are you the most excited about? I knew about Light Fall and had seen the trailer prior to applying here and I found the game beautiful. I liked the vibrant colors, the sharp contrast between the elements and the silhouette style used in the game. Being part of this team can only be a positive and constructive experience for me. The fact that Bishop Games is an indie studio that started from nothing to get where it is now only makes me prouder. We will have a lot of fun, I’m sure! 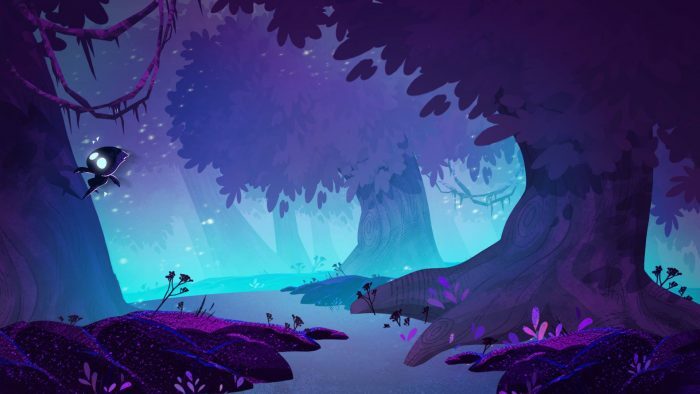 Vanessa is brining her own style to Light Fall’s visual design and the result is outstanding. Are you a gamer yourself, if so, what are your favorite games? I’m more of a film and animation series fan, but I have always taken pleasure in watching people play. I am not very good myself, but I like to be immersed into strange universes! When I was younger, I was a Diablo maniac! To this day, I think this remains my favorite game. What is something people wouldn’t expect about you at first glance? The sheer amount of chocolate I can eat. I don’t think anyone can expect that, really. That’s it for now, folks. We have some pretty cool stuff coming up so stay tuned! We are narrowing down the possible dates for our release. Autumn is in our aim. A few days after PAX East, the dust is finally settling down. Last weekend, the city of Boston was invaded by thousands of avid gamers from all around the world. It was our second year at East, and this time around, we were prepared for the ”Horde” of fanatics. Here’s a recap of our 5 days in Boston! Boston is only a 6-hours drive from Quebec City. As we had done in the past, we decided to travel by car once again. For this edition of PAX, only two of us were attending. This allowed us enough free space to bring the entire booth equipment in the car. We had the two 48-inches TVs, our laptops, the Light Fall banners, an extra table for the press, etc. David and I left on Wednesday morning, at around 8:00 AM. The weather was nice and everything pointed to a safe travel to Boston. But sometimes… things don’t go as planned. This was one of these times. We arrived at the border at 11:30 AM, the ride had been smooth thus far. The border agents asked us the typical questions: ”Where are you going? For what purpose?”. Then, they saw the two TVs on the back seat. They thought we were bringing them to resell them across the border and asked if we had our paperwork in order for these commercial goods. They called it a TBI. We had no clue what a TBI was, and as you can guess, that clearly didn’t help our case. The agents asked us to go inside to talk with their superior. After several minutes of us explaining why we had brand-new TVs, it became obvious they wouldn’t let us cross the border without this TBI-thing. They gave us phone numbers of US customs brokers. The only one who could set up a TBI quickly required a 900$ entry-fee. Yes, you read that right. 900$ to bring two TVs that were probably worth less than that. We obviously declined. But then, what were our other options? We could either leave the TVs in the snow or go back to Canada. Luckily for us, David had the idea to check for the closest storage unit. We found one within 30-minutes of the border. We went back to the agents, told them we were going back home and went back to Canada. We dropped our TVs there for the week and drove back to the border… We would rent the TVs at the convention, we had no other choice. 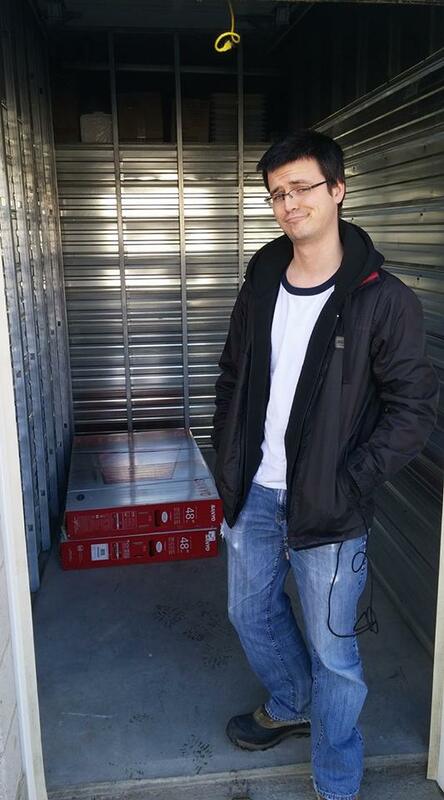 Desperate times call for desperate measures… Welcome to the Bishop Storage Unit! In hindsight, we can’t be mad at the border agents. They were simply doing their jobs. However, we had wasted 3 hours on this whole thing and, worst of all, it made our arrival in Boston right into traffic hours. The 6-hours drive became a painful 11-hours one… Quite the way to start our PAX East adventure! After a long and tiresome day, a good night of sleep was much welcomed. On Thursday, it was time to set up our booth and test everything before PAX debuted. This time around, we had a demo version with our brand-new sounds and in-game physic system for the character. We were excited about the new changes, but also worried about potential bugs that might have escaped our internal testing. I won’t lie… we did have a few bugs in there. I counted 29 different ones, to be exact. Nevertheless, nothing game-breaking happened throughout the weekend and the game ran smoothly in general. Better to find these bugs now than two weeks prior to release! Now that we’re back at the studio, we can easily fix them. Despite some issues here and there, PAX East 2017 was a blast. We had a lot of fun meeting everyone and the comments on Light Fall were very positive! 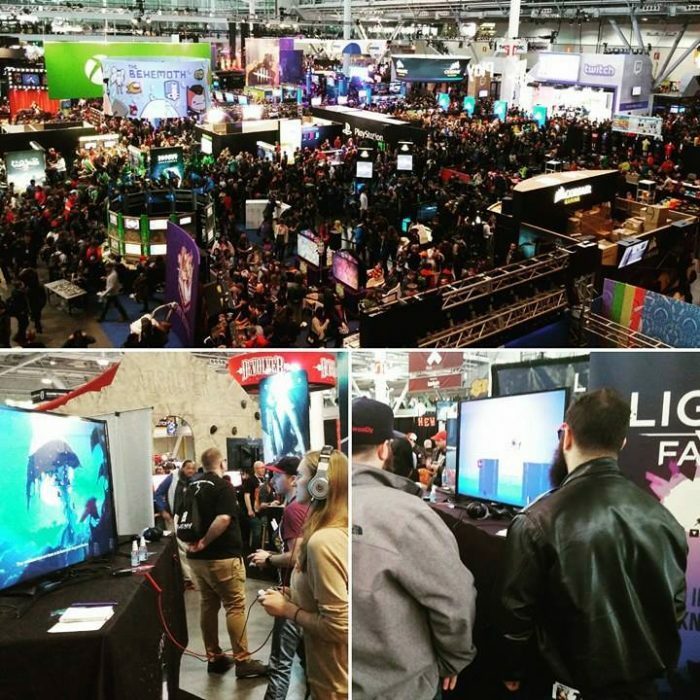 We can’t wait to go back for another edition of PAX East and we want to thank everyone who showed up at our booth during the event. PAX East 2017 was once again a very pleasant experience for us. With all that said, we know it’s been roughly two months since our last update on the game. Rest assured that everything is going according to plan. It’s just that we were working on so many things at once that we had nothing truly groundbreaking to show in these two months. 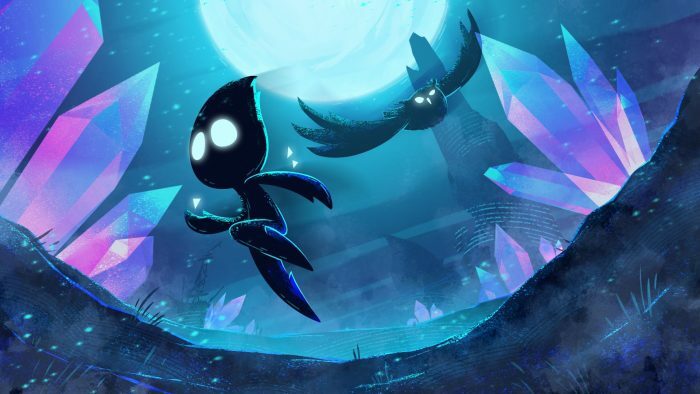 We have an update coming up next week where we will showcase the new audio of Light Fall, as well as some environment changes we’ve made to make the game feel more immersive and reactive to the player. Stay tuned!